Pocketburgers.com: Picture of a white child curiously touching the shield of a black riot cop during a KKK protest. No one is born a racist. 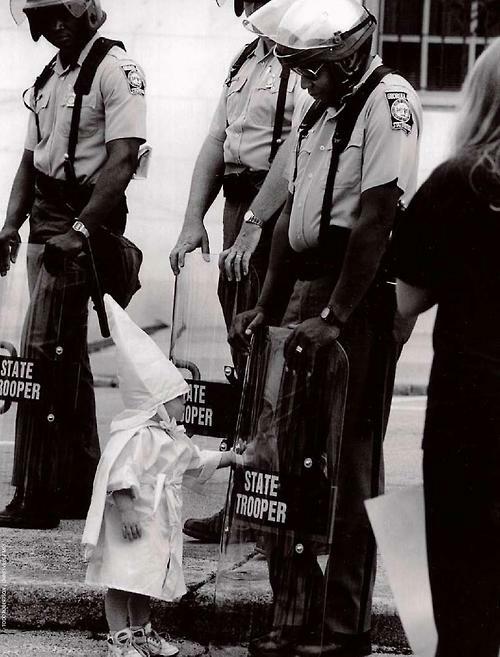 Picture of a white child curiously touching the shield of a black riot cop during a KKK protest. No one is born a racist.